Create an animated 360 video with a stationary camera for use on youtube, facebook, vimeo and Samsung Gear VR. We will create a static environment with moving images/ stock video on screens. Then we will render out image sequences using Cinema 4D baked texture tags and compose in After Effects using a top and bottom stereoscopic format. Rendering out of Media Encoder provides the metadata to communicate with the social networking sites listed above. 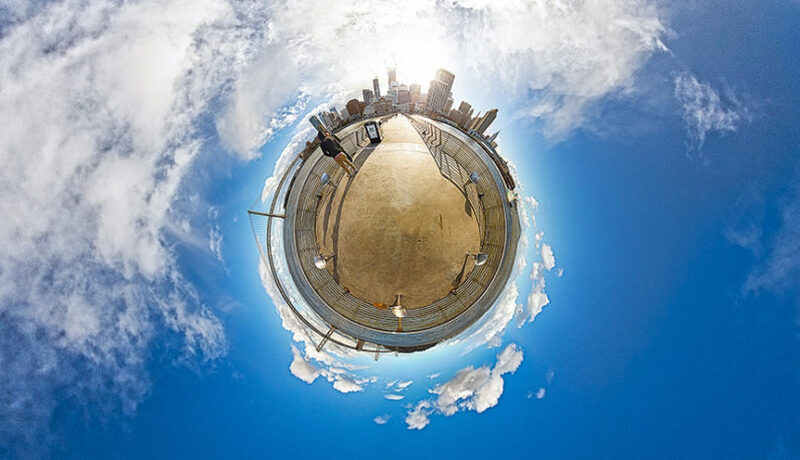 Note: Vimeo’s 360 media player (below) is best viewed using Chrome or Firefox. 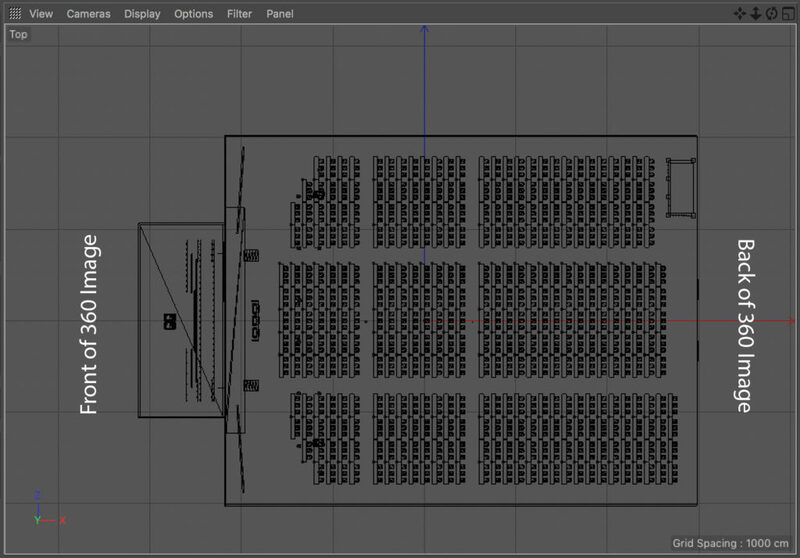 Export your 3D model from Vectorworks as a .c4d file. Here are our suggested export settings. Before exporting, make sure your model is oriented so that the desired “front” of your scene is at 9 o’clock. The goal is to have the model import into c4d oriented as seen below. Open your exported .c4d file in Cinema 4D via After Effects. Step-by-step import instructions here. In the materials manager, right click to create a new material. Turn off the color channel and turn on the luminance channel. 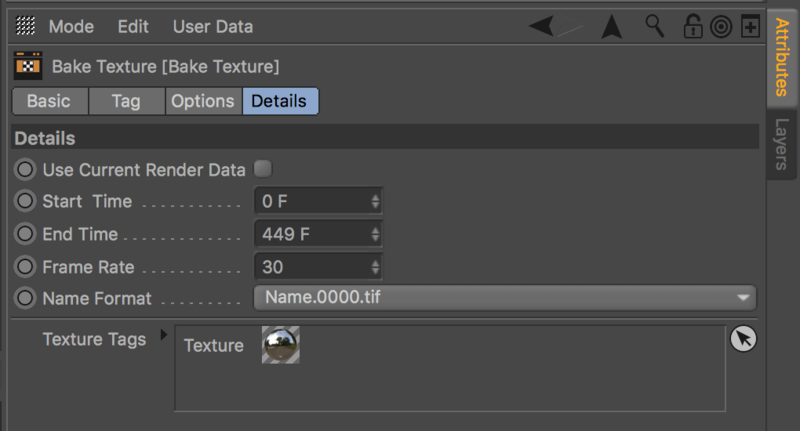 Select “Load Image” in the Texture dropdown menu. Drag the material onto the screen object in the object manager. If your video is not mapping perfectly, click on the material tag next to the screen object in the object manager. Then adjust the settings under the Tag tab. If you want to see your video animate in the viewport, turn on “Animate Preview” in Editor. Add a sphere object, change radius to 2cm, set the Y-value to roughly 180cm or 6ft, Z-value to 3cm. Create a new material, set color to black, reflectance type to to “Reflection – Legacy” with 0 roughness, 100 reflection, 100 specular, and 0 bump. Drag material onto sphere. a. Details tab: Change the end time to 449F to create a 15 second video. Change the frame rate to 30. 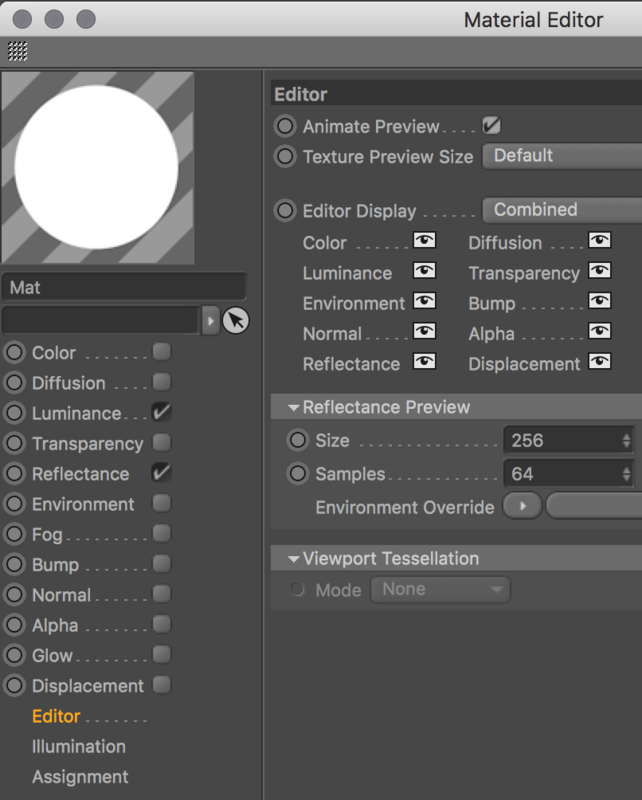 Drag the reflective material attached to the sphere object (as opposed to dragging it from the materials browser) into the “Texture Tags” box. b. Options tab: Check the reflection box. c. Tag tab: Click on the “…” button to set a save location & filename to designate it is the RIGHT eye. Create a folder to hold the files. Set the format to PNG. Set the width to 7680, the height to 4320. 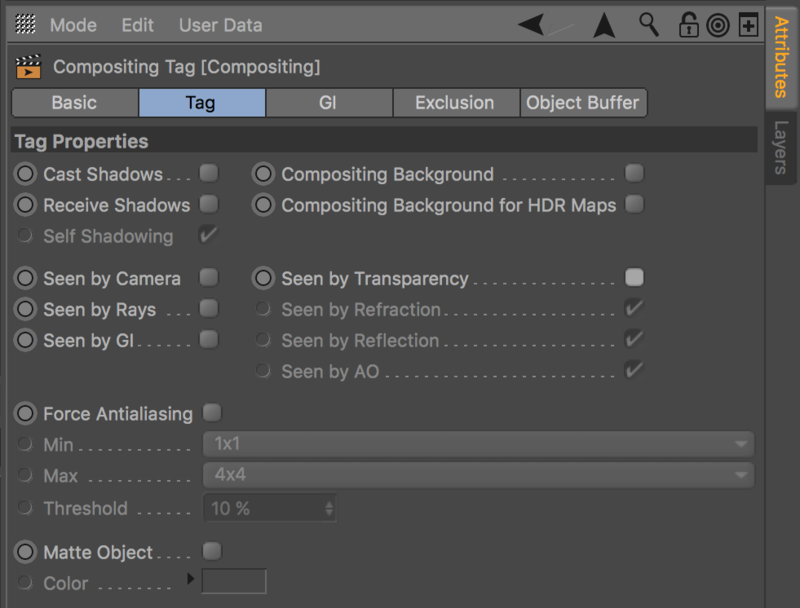 Right click on the sphere object and add a Cinema 4d Tag> Compositing Tag. Uncheck all settings that are not already greyed out. Now, duplicate the sphere object in the object manager. Select the duplicate sphere. a. Change the Z-value to -3cm. This is meant to mimic the approximate 6cm distance between your eyes. b. Go back into the bake tags and edit the filename using the “…” button to designate it as the LEFT eye. Make sure these save into a separate folder than the Right eye images. 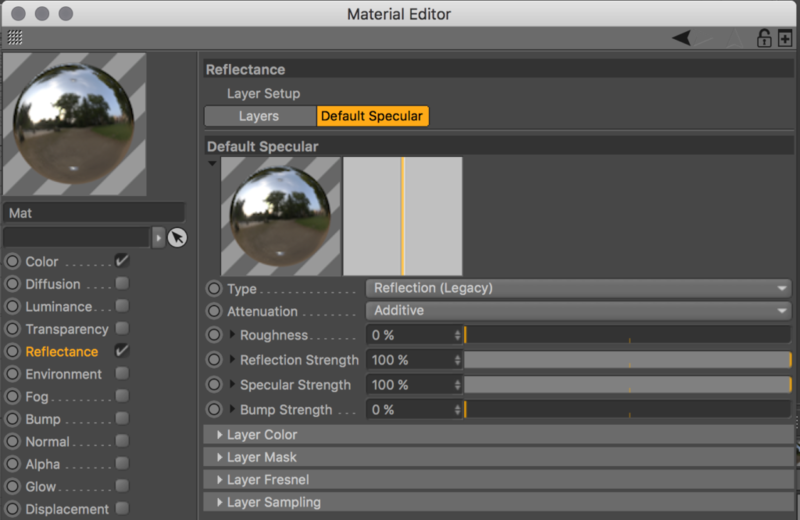 c. Select both spheres objects and use the move tool to position them at the direct center of your scene. Be careful not to move them along the Y-axis; You want them to stay at 6ft or 180cm off the ground. Add a light if there isn’t already a light(s) in your scene. If not, see Step 3 of our Basic Animation Tutorial to learn how to add an area light to your scene. 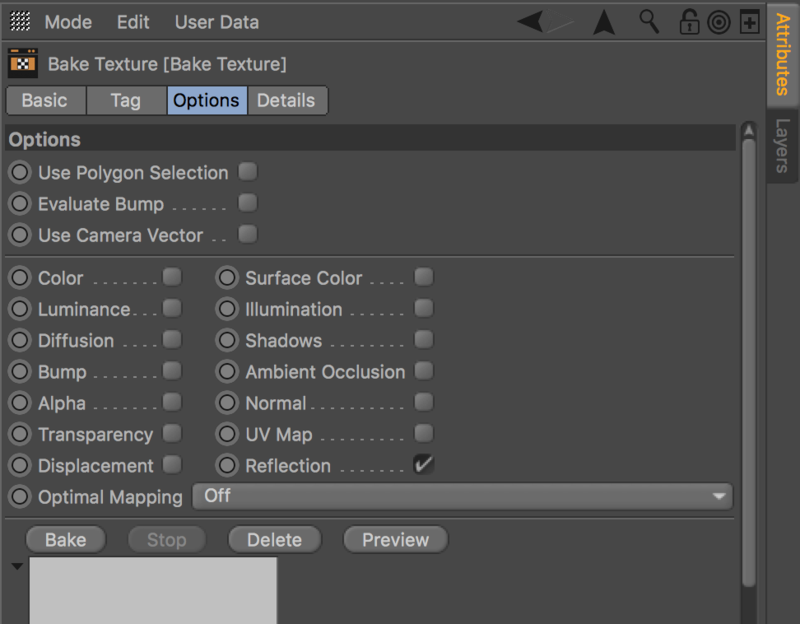 Finally, for both sphere objects, click on the baked texture tag> options tab and and click the “bake” button. A total of 900 png images will be rendered out, 450 frames per eye. They will be in your designated output folder ready to be imported into After Effects. This can take a while, as much as 10 hours depending on complexity of the scene. By baking the image reflected onto our eyes we have captured an inverted image. Use a Photoshop Action to flip all the images horizontally. In Photoshop, go to main nav bar> Window> Actions. In the Actions panel, create a new action and hit record. While recording, main nav bar> image> rotation> Flip Canvas Horizontally. Stop recording. To apply this action to all images, go to Photoshop’s main nav bar> File> Automate> Batch and select the folder containing your image sequences. For more detailed instructions, visit our tutorial post on flipping image sequences with Photoshop Automator. a. Create a new project in After Effects. Main nav bar> Composition> New Composition. 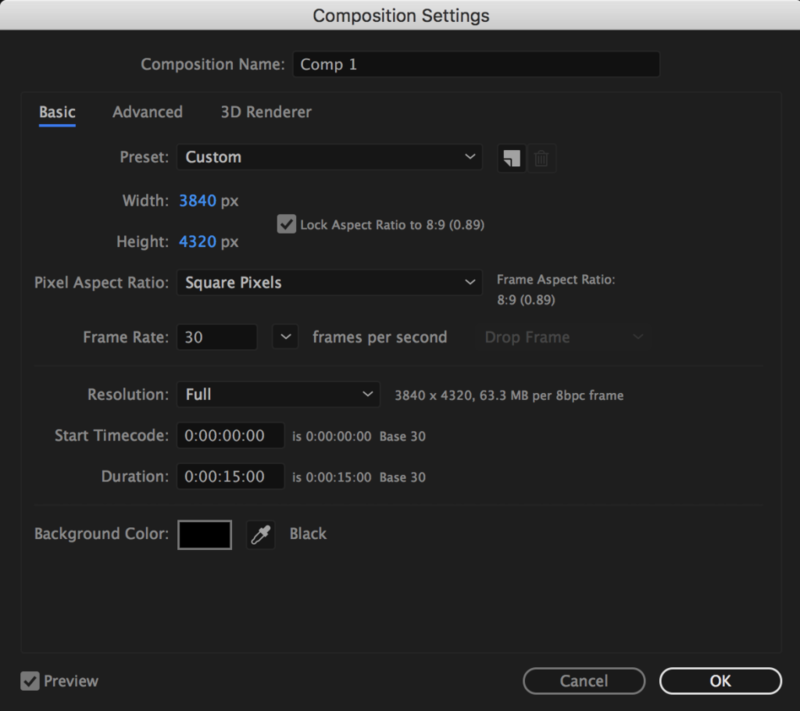 Set the composition size to 3840 x 4320, make the duration 15 seconds long at 30 fps. b. 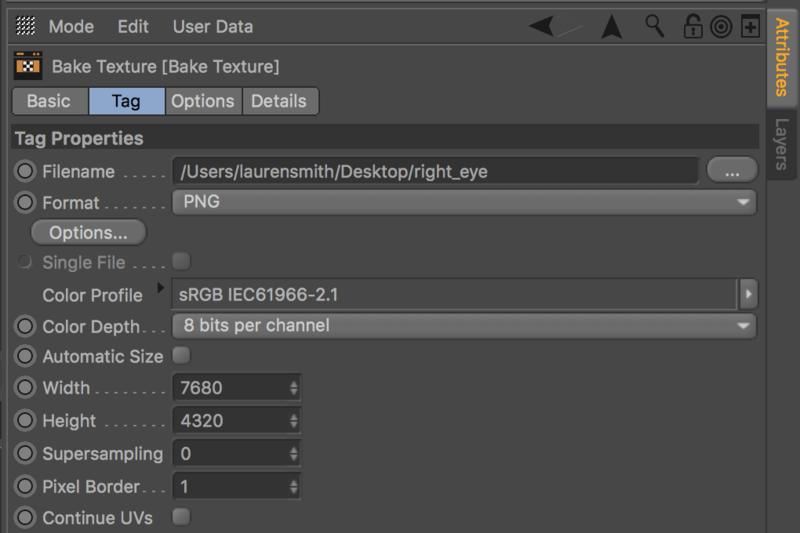 Import baked texture PNGs into the project panel by right clicking in the Project Panel > Import> File. You need only select the first image of each sequence and AE will know to import the entire sequence. So import the first image file of the Left Eye sequence & then import first image of the Right Eye sequence. c. These images are twice the size of the comp to ensure a better quality end product. Drag each image sequence into the comp. With both layers selected, press “S” to bring up the scale parameter and type in “50%”. Position the Left eye on top, Right eye on the bottom. 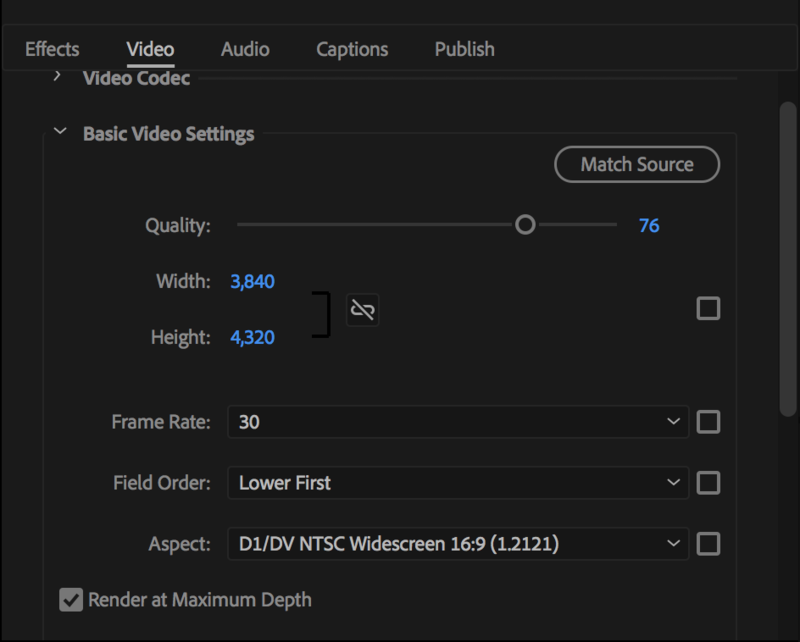 Exporting with Media Encoder adds 360/VR metadata. 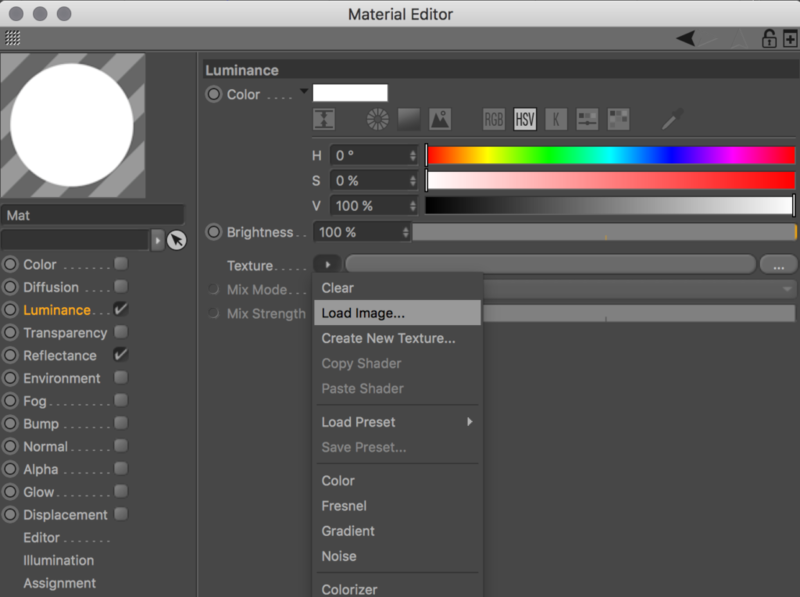 In After Effects, Main Nav Bar> Composition> Add to Adobe Media Encoder Queue. Media Encoder will automatically launch and your comp will appear. Click on the blue text in the Preset column to open the Export Settings window. a. Change format to Quicktime, uncheck export audio, set the output file location. 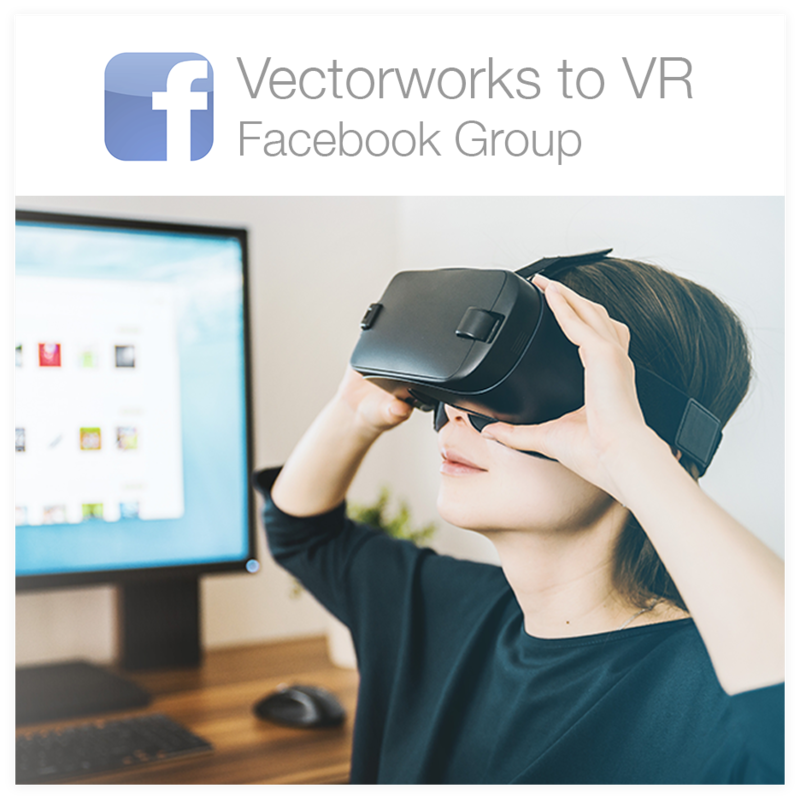 If you want to view on GearVR, the file name should with “[comp-name]_TB.mov”. If you are viewing the file in the Oculus Video app on Gear VR/Go, use the filename “[comp-name]_360.mov”. This is done to specifically communicate to the Samsung Gear VR that the video is a 360 top and bottom stereoscopic video. b. Set the Video Codec to MPEG-4. c. In Basic Video Settings, adjust the dimensions to be 3840 x 4320 [uncheck the box to edit if it is greyed out]. 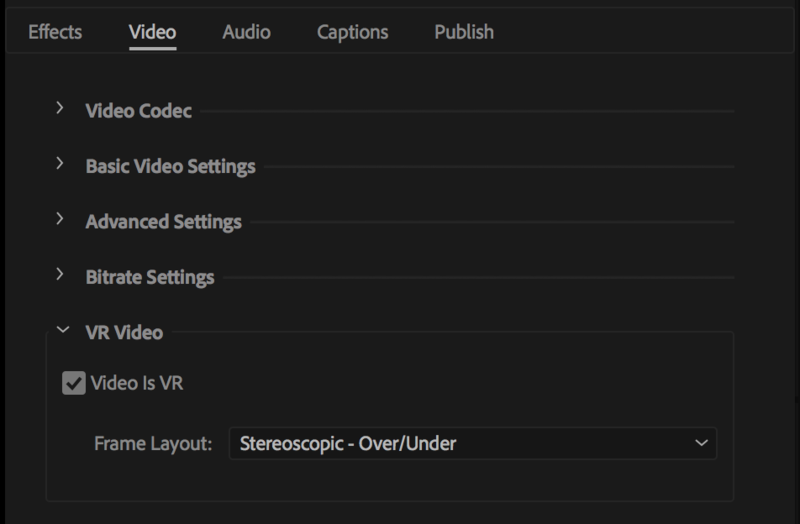 d. Check box for ‘Video is VR’ and select Stereoscopic – over/under from the dropdown menu. e. Lastly, check box for Use Maximum Render Quality. Click okay to exit the export settings window and click the green play button to render! This could take anywhere from 30 minutes to several hours. If you are pressed for time try decreasing the Quilty to Higher and the bitrates to 20. I hope this information helps you make some sweet 360 videos. One of the goals of ScenicMentor.com is to help designers learn and work faster, giving them more time to create and more easily share their ideas with the world!